Our Lady Of Guadalupe / Arch. Michael, Tapestry Cloth, 4 3/4"
On one side is Our Lady of Guadalupe image on the other side Archangel Michael. 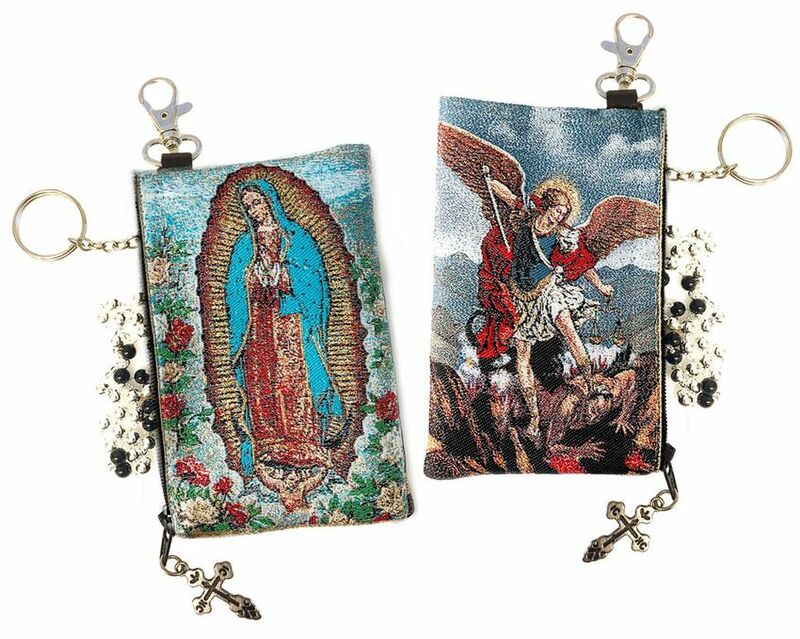 Virgin Mary, Rosary Pouch Case, 5 3/8"
Our Lady of Guadalupe, Rosary Icon Pouch , 5 3/8"
Archangel Michael, Tapestry Cloth w/ Key Chain, 4 3/4"